You could be entitled to benefits through your superannuation fund or other insurance policies if you are unable to work due to illness or injury. At Travis Schultz Law we have dedicated legal specialists with a proven track record in helping clients access their superannuation and insurance benefits. Gaining access to your superannuation and insurance policy benefits can be a lengthy and complicated process if you are unable to work due to illness or disability. Our team of specialist superannuation lawyers can guide you through the claims process and, as we are a small team, your lawyer will be with you every step of the way to ensure you receive the full range of benefits you are entitled to. We are here to assess your circumstances and provide clear advice on your claim. Our services are provided on a ‘No Win, No Pay’ basis, meaning you will only pay legal fees if we obtain a successful outcome. Our lawyers operate on a No Win No Pay and low-cost basis, which means you don’t have to pay our legal fees unless we win your claim at the end. For court proceedings, there is usually a six-year time limit to file superannuation and insurance claims. However, it’s important to seek accurate and expert legal advice as soon as possible to ensure your matter is handled in the right time frame and with accuracy. Our team are happy to discuss your unique matter at a free initial assessment and consultation. Do I have an applicable claim? 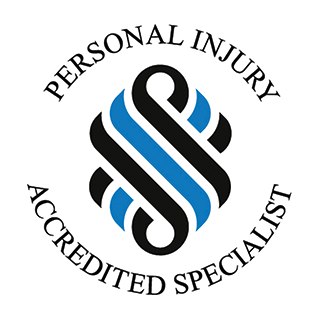 Each case is uniquely different, so Travis personally offers a complimentary initial assessment and consultation for your matter. As well as no fee, there is absolutely no obligation to proceed after this consultation. Is it too late for me to submit a claim? While time limits do apply for different cases, it’s always best to seek professional legal advice as soon as possible. Although there are always exceptions to the rule, normally time limits can vary from 3 months to 6 years. The sooner a valid claim can be lodged, the sooner the fund or insurer will begin assessing your claim, which can lead to a speedier resolution to help you get back on your feet.